If you or a professional that you brought in made the executive decision that your existing furnace is officially referred to in the past tense, the first step before heading out to a furnace company is to decide what all you need. If the life of a furnace is 10-15 years but yours unfortunately met its early demise after 4 years, there really wouldn’t be any reason to run all new duct work through your house as long as it’s in good shape. Along that same token if you’re switching altogether from something like a wood burning stove to a gas furnace you’ll need an entire system install. Before you head out furnace shopping, you also need to determine what type of furnace setup is in your home. You’ll either have a gas setup, as indicated by a black PVC or copper pipe running into the unit as well as an exhaust on the outside of the home or an electric heat pump furnace, as indicated by a plugin. There may be some confusion if you’re not entirely familiar with furnaces but a neighbour or industry professional will be able to give you a definitive answer. The next step in selecting an item from a furnace company is knowing how efficient you want it, or in short terms how much you want to spend. Efficiency is based on how much of the energy used by your furnace is actually turned into heat. For example most furnaces these days have a minimum efficiency rating of 78-80% meaning that 20-22% is lost in making the heat and expunged out the chimney. As a rule, the 20-22% lost is represented by 20 cents on the dollar so you can understand how much to spend. Your next step is to see what size of unit you need. In most cases getting the same size as was previously installed is the way to go but if you’ve added on to your home a larger model may be needed. Heating requirements are figured out in btu/hr and there are a number of automatic calculators that help you calculate based on the width/length/and height of a house or room and modify it by the insulation condition and the temperature needed based on the area where you live. Payback = Extra Cost ($400 for upgraded furnace) / Annual Savings ($100), so you’d have your high-efficiency furnace paid off in 4 years. Also in reference to budget, in some cases rebates are available for purchasing energy saving furnace units both instantly and at tax time. In other instances the company itself will offer credits especially if you integrate additional efficiency products like solar power to the package. The Canadian government also gives out grants for installing new high-efficiency furnaces, sometimes in the neighbourhood of $700. The awarding of the grants is stringent on a home energy audit before and after the unit is installed but they also put $150 towards the securing of that service. Additional government funds are available for upgrading the insulation in your home and it might not be a bad idea to take advantage of that at the same time you’re getting a new furnace installed. Improper insulation in the walls, exposed floors, attic, and roof is a significant source of lost heat and will raise your utility bills no matter how efficient the furnace is. It’s best to seal up and secure the house including caulking gaps in windows and doors for a complete home heating renovation. The final step in finding the right furnace company is to shop, compare, and get quotes. You never know what kind of deal you can get just by letting different companies know you’re going to do some additional browsing. In addition you’ll start to understand the different components of an HVAC system the more comparison testing you do as well as learn of the various warranties, service calls, additional amenities that are included with each purchase. It’s important to remember that the main function of a furnace is to keep your family and home warm. While all models do that, it doesn’t necessarily mean you can’t fine tune the market to find a unit that fits your needs perfectly. 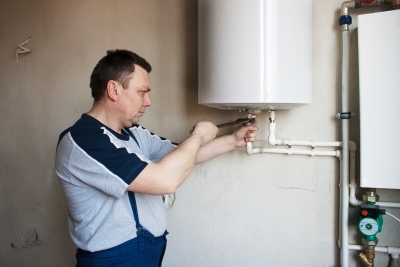 Once you’ve found yourself comfortable browsing in furnace company, you can expand these same research and shopping traits into other areas of your home that may need replacing such as the plumbing, electricity, etc.